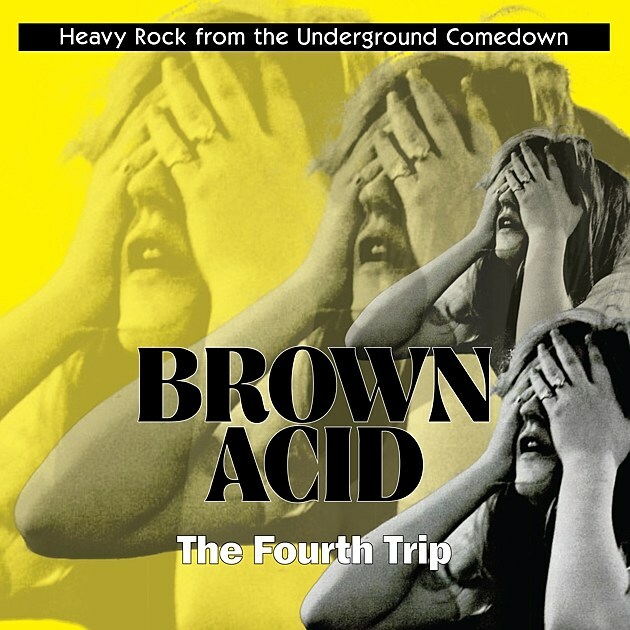 The fourth installment of the Brown Acid compilation series is coming this year. In case you’re unfamiliar, it’s a comp put together by stoner rock label RidingEasy Records and Chicago/LA record store Permanent Records that collects obscure ’60s and ’70s heavy-psych/proto-metal jams. The Fourth Trip drops on 4/20 (naturally), and we’re premiering opening track “Leave It,” recorded by Kanaan in Texas in 1969. It’s a nice dose of fuzz-drenched riffs that fans of anyone from Blue Cheer to Ty Segall are sure to enjoy. Check it out, with the album tracklist, below. Pre-order the album on vinyl here and digitally here.